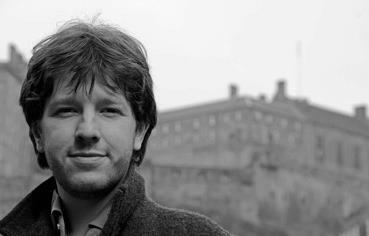 Richie McCaffery has a PhD in Scottish Literature from the University of Glasgow, where his thesis was on the Scottish poets of World War Two. He has published academic or critical articles in places such as Etudes ecossaises, The Scottish Literary Review and The Dark Horse and has reviewed for The Edinburgh Review, Magma and Scottish Affairs (forthcoming). He has published two pamphlets and one collection of his poetry (Cairn from Nine Arches Press, 2014). Elizabeth Clark was better known (but not widely known) by her pseudonym Joan Ure (1918-1978). While this piece looks into her neglected poetry, she was perhaps more well-known as a Tyneside-born Glasgow-based playwright. Even within her primary medium of drama, she had to fight in order to find a platform for her work, her applications to the Scottish Arts Council for funding remained fruitless. The bulk of Ure’s rare published poetry appeared only very sporadically through the journals The Glasgow Review and The New Saltire in the 1960s and 1970s. Her archives in the University of Glasgow library contain many hundreds of poems, but only perhaps a dozen were published during her lifetime. Joan Ure is a ‘Dangerous Woman’ in the sense that firstly, she was a key Scottish post-war creative voice that was largely ignored. The neglected woman writer is one of the recurrent images in her work. Secondly, she had many bones to pick with Scottish society, challenging post-war attitudes and values. As such, this article sets out to capture a sense of how Ure had to fight to be heard and ultimately suffered for her art. In order to do this, I look at a two of Ure’s unpublished poems, discussed here for the first time in a critical context. Ure’s work addresses and interrogates obstacles and social hindrances experienced by the post-War woman poet. Many of Ure’s poems call for radical action and reform, refusing to stay in a position of social stasis, and instead pushing for greater engagement with and awareness of women poets. Her work is one of difference, when set against the male canon. The nemesis of Ure’s writing was the figure of the Scottish soldier, who she despises for being such a looming presence in the nation’s consciousness and imagination. She blames the Scottish soldier for society’s veneration of militaristic fighters, for the dominance of male attitudes and values, and for drowning out her and other women’s voices. With Joan Ure, the protesting elements of her work are an attempt to close the gulf between men’s and women’s writing, and demonstrate the originality of poetry in its own terms. Her tone anticipates, and perhaps even heralds, the flowering of the arts in the 1960s and 1970s in Scotland. Ure stands alone in her literary achievements in the immediate post-War era. She was committed, nevertheless, to write herself into a regenerated, less patriarchal, national post-war tradition. As such, she signals the rising number of women poets (such as Liz Lochhead, Kathleen Jamie, Jackie Kay, Angela McSeveney and Carol Ann Duffy) who rose to prominence between the 1970s and 1990s. But just what was Ure up against socially and literarily speaking? Alasdair Gray and Robert Trotter, in their respective accounts of her life, give us a sense of the difficulties she had to deal with. For Gray, ‘Betty was born into a culture which gave her good food, good clothing and a well-furnished home in return for self-suppression’. Immediately after the end of World War Two, Ure’s sister committed suicide. Her mother was struck down by tuberculosis when Ure was 12, forcing her to assume the role of housewife and surrogate mother for her younger siblings. In later life she ploughed ‘a lonely furrow’ in 1950s Scotland as a playwright and poet. Her creative and professional lives (she worked as a clerk) were marred by eating disorders, depression and associated ill-health, culminating in her death from respiratory failure, brought on by asthma, in 1978. Her imagination and identity as a writer provided the only escape from drudgery and neurosis (Gray 2014, 145). On numerous occasions Ure claimed that she did not write poetry, but if she did it would be like ‘your ruins – what and who caused it should be like skin and hair – guessable yet ambiguous/anonymous […] it should be, if you like […] a failure – not intentionally, but because of the world’ (Ure, 1964). This remark came towards the end of her life, at a time of frustration at the lack of recognition. It shows a form of self-censorship through neglect, that publication had evaded Ure and she was made to feel as if her work was not legitimate in the existing literary climate. As she wrote in a letter to Edwin Morgan, she was ‘willing to become a beggar for freedom’ and for the sake of her identity as a creative writer (Ure 1970). Ure had a very conflicted relationship with Scotland: on the one hand she shows individual national pride with remarks such as ‘I would not, if I could, exchange it for another’ (Ure 1960s-1970s) and on the other there are criticisms of the country as a ‘blasting, cold and philistine land’ devoted only to intellect and masculine virtues and where ‘imagination is the suspect step-bairn’ (Ure to Christopher Small: c.1960s). Ure believed ‘in ideas, but not one is worth the sacrifice of the life of one single human being’ (Ure to Christopher Small: c.1960s). Her work amounts to a prolonged and articulated self-sacrifice ‘in the wilderness’ of women’s writing for a cause. How Ure felt and what she faced can be demonstrated through her work. From her archives I have selected two poems that show her range. One, ‘Answer on the Side Drum in 1963 to the Blast of the Trumpet in 1557, with less than respect’ from 1963 shows Ure’s ambition, historical scope and polemical force early on. On the other hand, a later poem, ‘Margaret on a Monday’ from the 1970s, is a much more quietly reflective and rather coded poem that shows, without irony or biting rhetoric, Ure’s vision of a society based upon gender equality. Perhaps Ure’s most confrontational and ambitious poem is ‘Answer on the Side Drum in 1963 to the Blast of the Trumpet in 1557, with less than respect.’ In four parts, it addresses the polemical outpourings of protestant reformer John Knox against ‘the monstrous regiment of women’, based on his objection to the authority of women tout court. Knox’s misogyny was also dealt with by Liz Lochhead in her play Mary Queen of Scots Got Her Head Chopped Off (1987), but Ure’s poem long pre-dates this. Ure grapples with the ambiguous legacy of Knox. He brought the Bible to the people, a school to every parish, and was the scourge of a corrupt Catholic church. Yet he also endorsed hostility to women who rose above their allowed position. but you do ken aboot slavery. but now they have got to me. you get the hale notion of equality started! I ken fine he’s no God for me. if mistakes there must always be. with the rest of us, for he earned it. We could grant him our equality. In this light we can see that even Ure’s most polemical work is about balancing protest and reconciliation. While the poetry discussed here questions the status quo and calls for change, it is not mere protest and confrontation. Rather, it articulates new strategies and ways forward that are deeply informed by past experience. that he had a lot to learn from you. I looked up again for the seagulls. as if it was easy. The speaker is encouraged by an independent woman tackling the hill ‘as if it was easy.’ The hill is symbolic. It is an obstacle that is being taken in Margaret’s stride. The man here is not portrayed as a competitor or predator, but someone who wishes to go along with Margaret and sees her as an equal. If anything, the poem implies a reliance of men on women: men are shown to be Icarus-like figures whose folly pushes them up ever higher, away from the ‘real world’ and Margaret. Writing about Joan Ure, Alasdair Gray argues that ‘she was a woman’s liberationist […] but liked men too much to want the two main sexes divorced’ (Gray 1980, 46). ‘Margaret on a Monday’ is a moving example of Ure’s search for balance and complementarity in her later poetry, and it shows how change is possible. Germaine Greer, in Slip-shod Sibyls: Recognition, Rejection and the Woman Poet, argues that twentieth century poetry is for women full of ‘terrible precedents’ where creative women not only destroyed themselves ‘but are valued for poetry that documents that process’ (McMillan, 442). While Joan Ure dramatizes being pushed to the limits in her work, she is all along dedicated to social re-construction over destruction of the self. Considering her work, we can begin to see it as part of the re-writing of social norms, which helps revise and rejuvenate the discourse of creative, public and private identity in post-War Scotland. In the words of Joan Ure, she had to fight for the ‘freedom to be heard’ and that, for many, made her a dangerous woman for her time, leading to the neglect of her poetry and her rejection by the Scottish literary establishment. It is high time her name and poetry was brought out of obscurity. Dunnigan, Sarah, Douglas Gifford, & Alan MacGillivray, eds., ‘Chapter 30: Opening the Doors: Fiction by Women 1911-47’, in Scottish Literature in English and Scots (Edinburgh: Edinburgh University Press, 2002), pp. 541-564: p. 541. Gray, Alasdair, ‘Joan Ure: 1918-1978’, in Joy Hendry, ed., Chapman 27/28: Woven by Women (1980), pp. 44-47: p. 46. Gray, Alasdair, ‘Of Joan Ure: Playwright’, in Of Me and Others (Glasgow: Cargo Publishing, 2014), pp. 145-154: p. 145. McMillan, Dorothy, ‘Twentieth-Century Poetry I: Rachel Annand Taylor to Veronica Forrest-Thomson’, in Douglas Gifford and Dorothy McMillan, eds., A History of Scottish Women’s Writing (Edinburgh: Edinburgh University Press, 1997), pp. 428-443: p. 442. Ure, Joan (Betty Clark), ‘Margaret on a Monday’ (unpublished manuscript poem), in Betty Clark archives (c.1970s), Special Collections, The University of Glasgow Library [01/2014]. Ure, Joan, (Betty Clark), ‘Answer on the Side Drum in 1963 to the Blast of the Trumpet in 1557, with less than respect’ (unpublished typescript poem, 1963), in Betty Clark archives, Special Collections, The University of Glasgow Library [01/2014]. Ure, Joan, (Betty Clark), Letter to Edwin Morgan (1964), The Edwin Morgan archives, Special Collections, The University of Glasgow Library [01/2014]. Ure, Joan, (Betty Clark), Letter to Edwin Morgan (1970), The Edwin Morgan archives, Special Collections, The University of Glasgow Library [01/2014]. Ure, Joan, (Betty Clark), Letters to Christopher Small and Edwin Morgan (c.1960s / 1970s), Special Collections, The University of Glasgow Library [01/2014].